Since seeing Blue Valentine, I have been unable to shake its harrowing depiction of marriage. Few films stay with me this long after I have see them. But the relationship between Cindy (Michelle Williams) and Dean (Ryan Gosling) is so beautifully damaged, it is impossible to forget their marriage. This relationship also got me thinking. How often do we see couples in the movies who have been together for the long haul? The most romantic comedies bring together your Harrrys and your Sallys. But these movies establish false expectations for courtship and never show what happens after the credits roll. Even the greatest movie couples – Sam and Ilsa, Jack and Rose, Westley and Buttercup – don’t say much about marriage. I’ve written about Hollywood’s supercouples before but none of the couples that I profiled made it down the aisle, let alone showed what real commitment looks like. Then there is Barkley and Lucy in Make Way for Tomorrow. For every movie that gives us an iconic pairing, this one trumps them all. 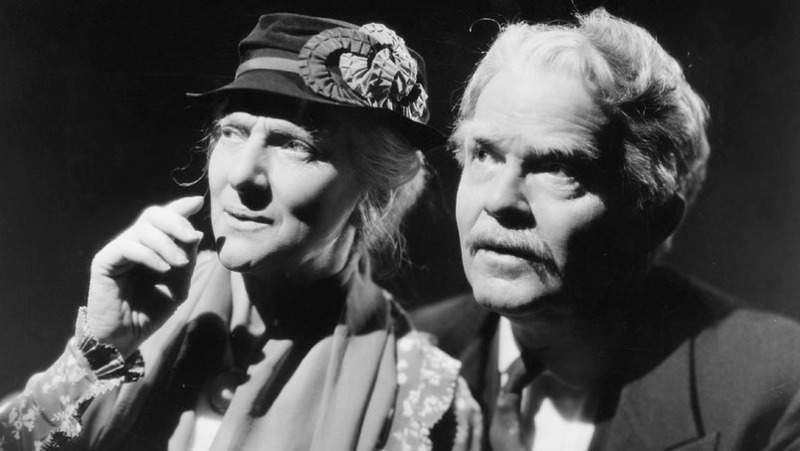 This Leo McCarey film about an elderly couple forced to separate when none of their five children will take both parents in will tug at your heartstrings with its simple and heartbreaking depiction of love, marriage, and commitment. It is decided that Barkley and Lucy will stay with their children for just “a few weeks” but their sudden presence in their adult children’s lives becomes burdensome. As Roger Ebert writes in his wonderful assessment of the film: “Make Way for Tomorrow is quietly observant about the social awkwardness of the situation.” Lucy interferes with her daughter-in-laws bridge classes; Barkley is relegated to sleeping on the couch. We hope for Barkley and Lucy’s sake that the couple is reunited soon so they can present a stronger united front to their children, who have unintentionally cast their parents aside. In the film’s final 30 minutes, when Barkley and Lucy are finally reunited before they are to separate again, Make Way for Tomorrow captures something most films do not. Real emotions without any exaggerations. The strangers who observe the couple as they revisit their honeymoon see something Barkley and Lucy’s children could not: unrelenting love and respect for one’s partner. No sequence will make you cry more than these final minutes of Make Way for Tomorrow.